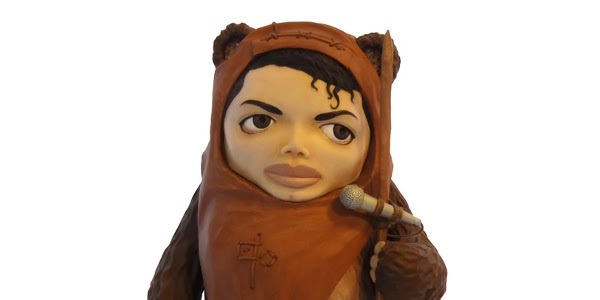 Have you ever wondered what the late Michael Jackson would have looked like as an Ewok? Your wish has been granted! 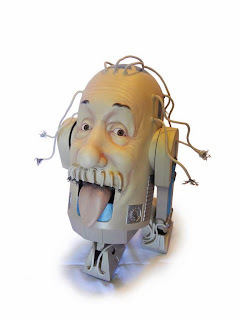 The actors in Star Wars are iconic, but sculptor Mike Leavitt has brilliantly taken those characters and turned them on their ear by combining them with famous people living and dead. He carved 18 articulated action figures with some really amazing detail. Here are some of my favorites. 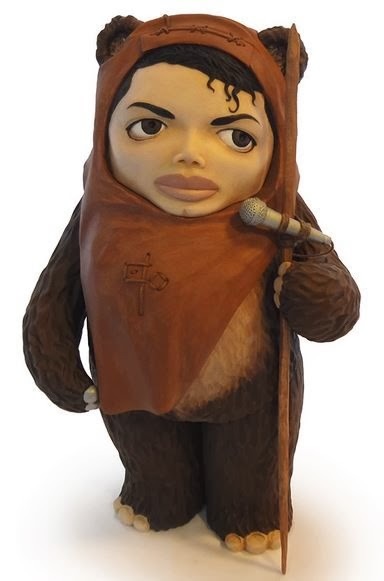 Visit his online gallery IntuitionKitchenProductions.com to see his stunning pieces and thoughtful explanations of what Michael Jackson and Ewoks have in common. What do you think of the figures? Which is your favorite? What do you think Jackson-Wicket sounds like when he sings? Lincoln as Solo is awesome! Most of those are eerily inspired! 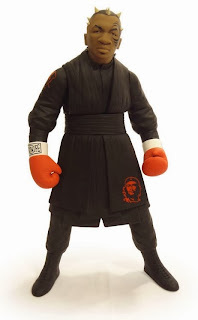 The Mike Tyson \ Darth Maul is a nice touch. The tattoos make sense David! They're pretty inspired Tony. 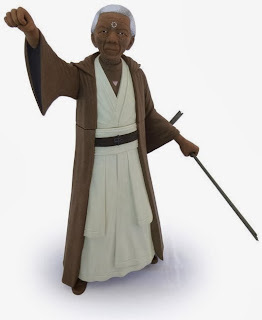 I never would have thought of Mandela as Obi-Wan. I'll bet a "yub yub" Smooth Criminal would be smooth Pat. 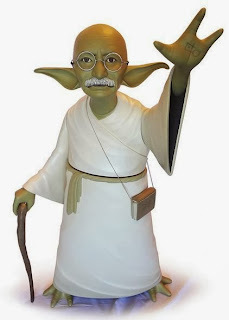 He can give the Gettysburg address in 1.2 parsecs Alex! Those are awesome and he figured out great people for the mashups. Abe certainly elevates Han from a scruffy nerfherder. Those are amazing. Every last one. I'd love to have some of those on my desk. Haha. AbraHan is easily my fave. Leavitt's explanations of why he chose each one make a lot of sense. It does Mark. Even the more bizarre ones seem completely logical when he breaks it down. What an artist.